Today was a CRAZY day of curling! It began at 9:00am when our 7-year-old took to the ice at Petersham Curling Club (PCC) for her first day as a member of the "Little Rocks" youth program (ages 7-12). It ended with me going on the ice back at PCC at 8:15pm to play in the Mixed League (men and women) until after 10:00pm. In between those times, our 14-year-old daughter was up in the Toronto, Canada, area playing with her team against 15 other highly competitive Canadian and US teams. Her team had two games - 11:00am and 5:00pm - and wound up winning both of them... but with extremely tense and nail-biting endings! I think I gained a good bit of white hair today... and that was just from watching the website and getting updates sent by messages from one of the parents up there in Canada! It was a great day! From the boundless energy and enthusiasm of our 7yo, to our daughter's team winning their two games... to my team squeaking out a narrow win (it came down to the final stone!). A crazy day... but a good one! As a writer, it is incredibly frustrating when you find yourself NOT writing. It's hard to explain, but there's a kind of pressure that builds up inside you. It keeps building and building and building and BUILDING... and if the pressure is not released through writing then it comes out in other ways. The way you treat others. Your health. Depression. Frustration. This post will only be my second post - in the entire 18 days of October! Across all my blog sites, including my work sites... where I am paid to write! And yet... I have no one to blame but myself. I have a loooooooooooonnnnnnnnggggggg list of topics I want to write about. There is no end. In fact there are several series of posts I want to get underway. But it's that effort of putting words on the screen. It is starting the writing - and not being distracted. By appointments. By meetings. By email. By social media. By… life. It is the act of focusing. Of being present. If writing is to be a priority for me, by my own choice - then it is the act of prioritizing writing. And even though I write those “self-help” posts, primarily as a reminder to ME, if I’m honest about it… I’m still struggling with it. We’ll see. And hey… with this post at least I’ve written something today! There is something about a mountaintop. The view all around you. The freshness of the air. The wind whipping against your hair and body. The exhiliration of making it to the top after a grueling climb. There is something about a mountaintop. The smiles and joy of some people there. The agonized expressions of those who just barely made it. The mobile phones as selfies and panoramas get taken. The sometimes sharing of food. There is something about a mountaintop. The sense of wonder and awe. The pointing down to the bottom. Is that where the trail began? Is that the city we know? Whose house or field is that? We are so high up! There is something about a mountaintop. I made a serious mistake last night. One that had consequences for my sleep - or lack thereof. It caused me to not do anything else this morning. It caused me not to get up and want to make breakfast. I wanted to ignore everyone else around me. I opened up a book. Not just a "book".. but a really, really GOOD book! Using the map doesn't require me to login or deal with any tracking info. You can see there all the country codes. But that's it. I can bookmark that URL. I can copy and paste it. I can modify it. There's no other login or anything required. Over the years, I've tried a few other map sites like this one, but often they seem to require you to login to copy the map. Or they had a cryptic URL that basically made it so you had to post it to Facebook using their particular code ... or something like that. Kudos to the Amcharts team for making this available - and making it easy to have a URL you can use and share. Because clearly I don't have enough places to write, I've decided to start writing over on PacketPushers.net. You can find my first post on my profile page there. Last year Russ White encouraged me to consider writing on Packet Pushers and connected me to the folks there to be set up as an author. They gave me an account... but then I've simply been way too busy with all the other writing I've been doing. 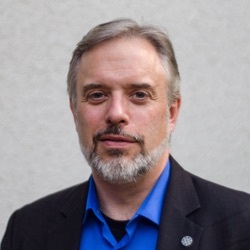 While at IETF 96 in Berlin last week, I had the opportunity to sit down with one of the two main hosts, Greg Ferro, and have a very wide-ranging conversation that I published as an episode in my The Dan York Report podcast. As part of that, I said to Greg that I'd see about starting to write there. Greg also said they are perfectly fine with RE-publishing content that originates elsewhere... and this intrigued me. I'm already doing that with posting some of my articles to CircleID (although I'm also writing new articles there). I'm also experimenting with cross-posting to Medium now and then. Packet Pushers has a strong community of people involved with networking. For a good number of the topics I write about it would be a logical place to also post my articles to encourage further discussion and get more engagement. We'll see how that all goes. I greatly appreciate the Packet Pushers team for giving me the space to write there... and I would again encourage you to not only read the site, but also listen to the podcasts. There is darkness all around us. This week, of all weeks, that is clear. Young black men shot by police thousands of mile apart - and then five police officers killed in an ambush by an angry assailant seemingly intent on vengance. Police officers, in this case, who were doing their jobs of protecting a peaceful protest against those earlier shootings. Just a week earlier a bomb exploded at an airport in Istanbul, Turkey killing over 40 people and injuring hundreds more... a terrorist attack at a bakery claimed over 20 lives in Dhaka, Bangladesh... a weekend bombing in a market in Baghdad, Iraq, left close to 300 dead... and bombs rocked three cities in Saudi Arabia, including near a mosque in the holy city of Medina. The divide between "us" and "them" grows stronger... where "them" is really "anyone not like us". So much anger. So much hatred. So many killings. There is darkness all around us. Dark ages are human creations, remember? The darkness isn’t somewhere “out there”. It’s in us. That is how we choose them, make them, create them. The true hallmark of a Dark Age is this. We call the darkness the light, and celebrate it, revel in it, seek salvation in it. Darkness isn’t a meteor hitting the earth. It’s a mentality. The impoverishment of the mind, brought on by rage, envy, fear. No Dark Age thinks it is one. Every Dark Age calls itself an Age of Light. Isn’t that exactly what’s happening across the globe today? As the middle collapses, as people grow poorer, they are regressing. They are literally choosing to go backwards. But that very choice is celebrated on the streets, applauded in the towns, and shouted from the rooftops as great, noble, and wise. That is all a Dark Age really is. Institutions crumble, leaders fail, and there is a turn to tribalism, feudalism, conflict, and dynasty. He goes on... his full article is worth a read. In the face of all of this, how, then, do we push back against the darkness? ... I just don't know. In a world where so much darkness threatens I think our only solution is for each one of us to be a light. To ask ourselves each moment: can we be kinder? can we be better? can we help others in some way? Umair is right - the darkness is within us. We cannot change others - we can only change ourselves and the choices we make. And while that sounds hopelessly naive and cliche, I see no other way forward. Or, at least, no other positive way forward. We seem to have lost some kind of understanding of our common humanity. Of the fact that all of us have the same basic needs and desires: food, drink, a safe place to live... friends, family... to laugh, to share... to be loved. Black, white, yellow, pink, red, brown... liberal, conservative or anywhere in between... male, female or something else... we are all breathing the same air and living on the same planet, no matter what language we speak or how we dress or how we look. We need to rebuild that faith in each other. That trust in each other. We won't always agree - in fact we may violently disagree - but we need to recognize that even in that worst disagreement we are still... fundamentally... human. We must believe in that. And we must bring that belief within us. And we must act in that capacity. Deeds, not words, as they say. And through our actions maybe, just maybe, we can be a beacon of hope for others. It will not be easy. We will fail. Repeatedly. But this week reminds us that we must keep trying. We must be the light. At about noon today I'll head out of Keene, NH, towards Boston's Logan airport to start what will be about 23 hours of travel bringing me to Marrakech, Morocco. I land tomorrow (Friday, 4 March) around 4:00pm local time and then after getting settled in that evening will dive directly into the Africa DNS Forum at 8:30am Saturday morning. It's going to be a crazy week! I will be giving five different presentations during the week, all of which will be live streamed and recorded. Naturally I'll be participating in a good number of other sessions. Tuesday, March 8th, is also International Women’s Day, and we’ll be publishing content around the excellent work of women in the world of technology. We have a significant amount of communication being planned around all of these different events, sessions and announcements. Internet Society blog posts related to ICANN 55 on the main ISOC blog and on the Deploy360 blog. and of course on my own personal social network channels. Will you get to see anything of Marrakech? The answer, sadly, is... probably NOT. As typically happens at events like this, I'm going to land at the airport in Marrakech and be transported by a driver to a "hotel compound" outside of Marrakech. The Palmeraie Conference Center is a big place with multiple hotels and all sorts of restaurants... a golf course, pools, etc. The sad reality is that I will probably spend my entire week there within the compound in the conference rooms until I leave for my flight home on the afternoon of Thursday, March 10. I understand there is some kind of "gala" social event.. but again it may be in the same compound. We'll see... some of the photos online seem amazing... hopefully I'll get a chance somewhere in there. I'm excited about the events that will be happening at the meetings at Marrakech and looking forward to meeting many of the people there. If you are going to be there in Marrakech for either ICANN 55 or the Africa DNS Forum, please do say hello! There are moments in life where you can remember exactly where you were... moments that live with you forever. Today was the anniversary of one of those. I was a freshman at the University of New Hampshire in Durham, NH, and remember being in the "lounge" of Sackett House, one of the "mini-dorms" at UNH, where there was the only TV. (Things were different then.) 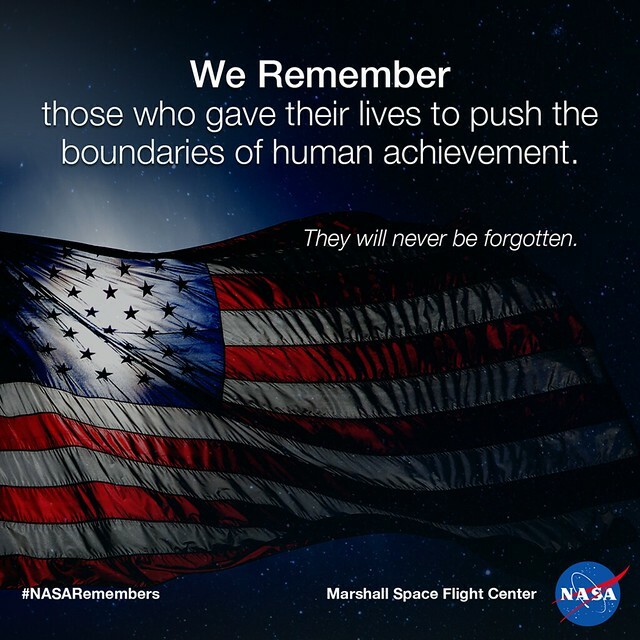 I remember being there with another resident, a woman named Alison, I believe, who dreamed of being an astronaut and was in the Air Force ROTC program to start down that path. My memory is hazy after 3 decades about the exact details... but I seem to recall that it was just she and I in the lounge area watching the launch. Her dreaming of being an astronaut, and me dreaming of flying into space and space stations and moon bases and more. I was then and still am a dreamer about all things related to space. Living in New Hampshire we were of course caught up in the massive attention focused on Christa McAuliffe, the first "teacher in space". The media attention was focused on our state - and particularly Concord, NH, where she taught. But even with all that massive media attention, we probably were the only ones watching in our small dorm... at that point in time Space Shuttle missions had come to be pretty routine... and "boring" to most people. 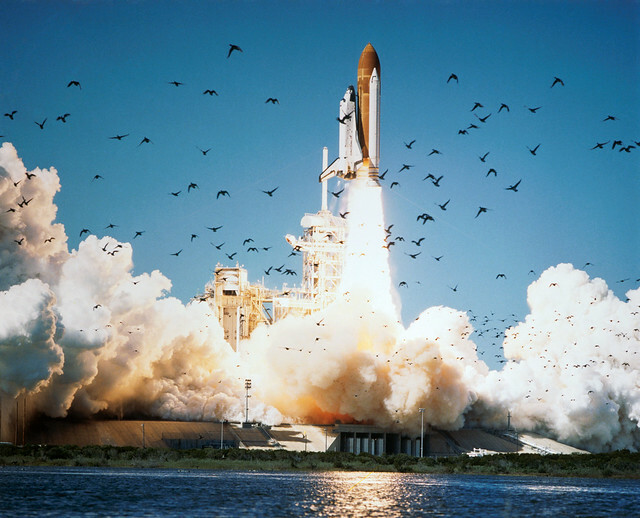 Wikipedia's list of Shuttle missions shows that there were 9 launches in 1985 and in fact the Space Shuttle Columbia had just launched on January 12, 1986, and landed on January 18. But the Challenger launch 10 days later was anything but routine. I remember sitting there watching the launch... and then I just remember the fireball that none of us can ever forget. I remember the hope... the hope against hope... that maybe, just maybe... someone had survived. And then the despair when it was clear that nothing could have survived. I remember Alison in tears... I assume I was probably in tears, too. I remember that we, as a nation, joined in a collective moment of shock... and then mourning. The histories tell me that the explosion occurred 73 seconds after launch. Watching one of those original news reports today it seems such a long time. Later, of course, would be the endless hours of replays... the hearings and investigations... the learning all about O-rings and cold temperatures... and so much more. Two-and-a-half years later, the Space Shuttle flights would finally resume with great safety improvements - as well as a heightened awareness in the public. Spaceflight was no longer "routine". 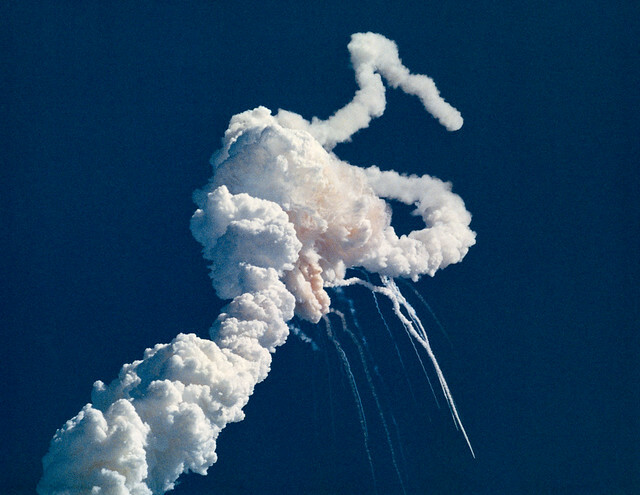 But at that moment on that January day in 1986, we who dreamt of space flight watched our dreams be shattered... and the emotional effect lingers to this day. 30 years... 3 decades... seems like such a long time. But that day... that moment... that image... will live with me forever. 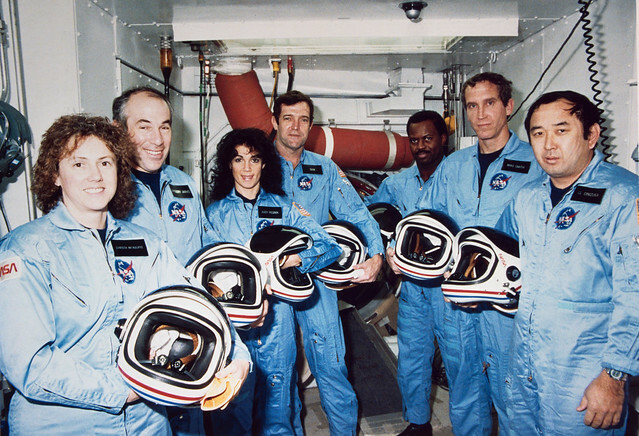 I remember... and I give thanks for the crew of the Challenger... and all of those who have given their lives in pursuit of dreams. Heading To The 2016 USA Curling Junior National Champshionships! Yea! Our daughter's curling team is heading to the 2016 USA Curling Junior National Championships this month! Her team will be one of the top 10 junior women's teams competing for the championship in Willmar, Minnesota, from January 16-23. She and her team are SO excited! Over the holiday break her curling team competed at the regional "GNCC Playdowns" where three womens teams were competing for two slots at the Nationals. Starting on Sunday, December 27, 2015, it was a very tense set of days, but on Tuesday morning they were able to win their final game and get the second spot. They will now be "Massachusetts 2" in the list of qualified teams for the Junior Nationals. The "Massachusetts" name comes from the state where the skip (captain) of the team is located. In our case the skip, Rebecca Rodgers, curls out of the Petersham Curling Club in Petersham, MA, as does our daughter Chloe. The other two girls curl out of the Cape Cod (MA) Curling Club and the Nashua (NH) Country Club. WE LEAVE ON FRIDAY, JANUARY 15! So this is all happening in a whirlwind of activity in a short time. It is a public page, so you do NOT need a Facebook account to view the page. At the Junior Nationals, they will be up against some of the best Juniors teams in the USA, and with the Junior age range being ages 12-21 ... and our girls being 13-15... there are definitely some teams out there with more experience. (And the "High Performance" team in the list is composed of top players chosen by USA Curling and groomed for Olympic competition.) Regardless, the girls are looking forward to playing against these teams and getting experience playing at a national level! It's going to be great! Of course, as a parent (and in my case also the team coach), there's also the cold, hard reality that it costs a good bit of money to move 8 people (4 players and their parent chaperones) from New England to western Minnesota and feed and house them for 9 days! In fact, our budget shows that it's going to be between $9,000 and $10,000! And we've had wonderful generosity from so many people that have already helped push us past the 25% mark! It's so great to see so many people wanting to help send the girls to Nationals! (And more donations are definitely welcome!) We are so incredibly appreciative of all the donations to date, as well as the many other ways that people have offered to help. Now... the countdown is on... in 11 days we'll be on planes to Minnesota for an amazing week of curling!! This is the first year these four girls have been curling together as a team. However, they have each been curling for 5-8 years and one of them (Rebecca) was an Alternate on a Nationals team last year and three of them (Rebecca, Anna and Elizabeth) were in the regional playdowns last year as part of another team. All four of them have been playing on teams in youth tournaments (bonspiels) for the past five years, very often playing against each other! So it's fun to have them all together on one team.